The Ultimate Tracklist - From the hottest hits like Want to Want Me by Jason Derulo to favorites like Born This Way by Lady Gaga, and more! Favorite game modes are back- Challenge friends from all over the world with World Dance Floor, and the show is on with Karaoke mode! Sweat Mode is back and better than ever - Track your calories and time dancing with personalized workouts. 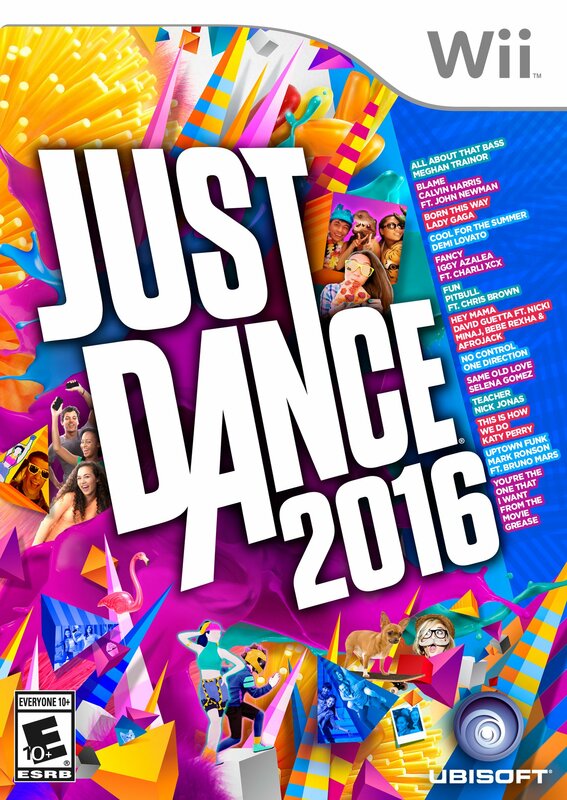 Introducing Just Dance 2016 the newest game from the top-selling franchise with 40+ new tracks! Bust a move to Uptown Funk by Mark Ronson Ft. Bruno Mars and feel the beat in All About That Bass by Meghan Trainor Just Dance 2016 features an amazing tracklist with visuals that are more creative and breathtaking than ever before. Join over 100M players and dance to your favorite songs now available.